Even if you have never put on a pair of headphones made by Monster, you have definitely experienced their technology somewhere, somehow. Monster Cable, as the name gives away, is one of the premier makers of audio cables in the world. As a leading producer of the world’s computer cabling, video cables that deliver the most prim and perfect video quality as well as audio cables that deliver extremely high fidelity; its presence is felt in several secondary industries as well as the entertainment industry in particular. Monster Cable has become indispensable as the gold standard of cabling for musical instruments, home theatre installations as well as video game setups. 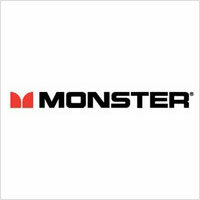 In fact, Monster Game is, a division of Monster Cable, is solely responsible for delivering high quality audio and video components for video games while Monster Power, another division is dedicated to serving clean A/C power to A/V components as well as built in high voltage surge protection. Holding over 200 US patents, Monster Cable has moved on to creating end consumer products in terms of headphones and speakers. From their original arrangement with Beats Audio where they produced the headphones for Beats, to today where they have carved a niche for themselves in the highly competitive headphone market, Monster Cable is a force to be reckoned with. Founded by Noel Lee, who was unlike the other pioneers of headphones a laser-fusion design engineer at the Lawrence-Livermore Laboratory, in 1979. As an audiophile, Lee was drawn to making excellent audio systems in any way possible and he found that the design of the audio cable is a very important aspect in delivering precision sound – you may have horn loudspeakers like Klipsch or great engineering like Bose but it all fails if the cables delivering the information are faulty or lossy. With this discovery and many design innovations, Lee went about creating excellent quality audio cables. Prior to this, most audio cables were driven by electrical cables – the same used to power household appliances. He set about improving the response of the cables by using higher quality materials that expanded the dynamic range and response as well as improving the design of the enamel layer in addition to smaller changes in the way the wires are arranged within the cable. This revolutionized the industry that was dedicated to providing high fidelity sound as well as providing an impetus to the portable loudspeaker (i.e. headphone) industry as the cables could be powered by the electrical power from the device that generates the sound itself. 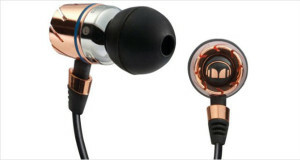 Monster’s Turbine Pro Copper earphones are one-of-a-kind in ear monitors that scream quality and fidelity. 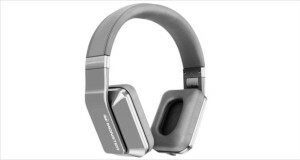 Made to look like airplane turbines on the outer side, these headphones are top-notch quality and come with a reference level sound that is perfect for those who like listening to the sound as-is from the studio. Additionally, the speakers have low mass and ultra-wide bandwidth for all the audiophiles out there looking for a pair of headphones to splurge on. These are headphones that set industry standards, and that is what Monster continues to do.